Ok, it might have started a few days ago & I’m obviously playing catch up, but there are some great dining options in the East Village for this year’s Restaurant Week. For those who aren’t familiar (Really? Been by a bus stop lately? ), this is an annual event that gives us regular folk a chance to get three courses at some of the city’s best restaurants at a reasonable price. While these are the restaurants listed within the East Village, we all know that there are no set boundaries, so don’t forget: Preserve 24, Indochine and plenty of other restaurants in the Lower East Side & surrounding areas. 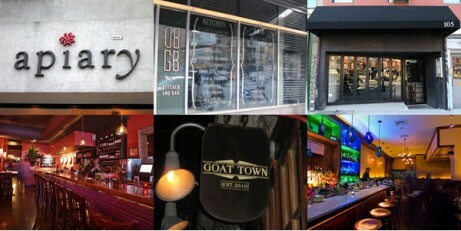 Check out NYC Go for all participating restaurants.